A babysitter who spent three years in prison for the murder of a neighbour's two-year-old son has been found not guilty at a retrial. 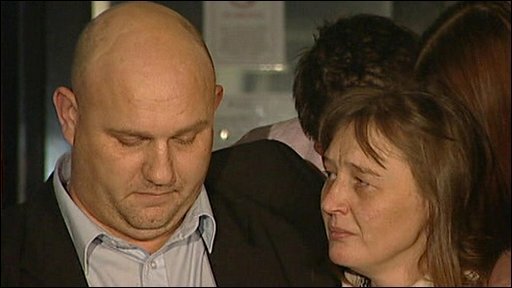 Suzanne Holdsworth had been accused of banging Kyle Fisher's head against a banister in Hartlepool in July 2004. 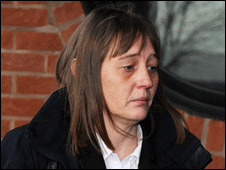 Ms Holdsworth, 38, now of Boggart Hill Drive, Leeds, was convicted in 2005. However, doubts were raised about her conviction by journalist John Sweeney in a report for BBC Newsnight and it was quashed in May. The jury at the retrial at Teesside Crown Court deliberated for two days before returning the not guilty verdict. The mother-of-two was originally convicted of the murder in March 2005 and jailed for life. Kyle: "Unlikely to have suffered massive blow to head"
She was released from prison earlier this year after serving three years. A spokesman for Cleveland Police said the force would not be reopening the case and would not be apologising to Ms Holdsworth, while the CPS defended the police's right to bring the case to court a second time. During Ms Holdsworth's original trial she was accused of repeatedly banging Kyle's head against a wooden banister with as much force as a 60mph crash after losing her temper. The Newsnight programme interviewed leading neuro-pathologist Dr Wainey Squier who later gave evidence for the defence in the retrial. She said it was "unlikely" Kyle had suffered a massive blow to the head. 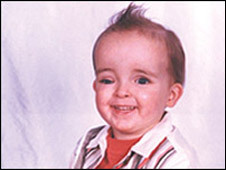 During the retrial the court heard the youngster had bruising and marks to his head but Ms Holdsworth's defence maintained they were inflicted the previous day - blaming Kyle's mother - and coupled with his brain abnormalities, led to the unexpected fit. Professor Renzo Guerrini, a paediatric neurologist at the University of Florence Children's Hospital, said: "In my opinion there is compelling evidence he had some head injury before this night. "This might have been trivial but sufficient enough to produce bleeding on the brain which triggered the epileptic seizure which because of Kyle's brain condition was possibly prolonged." Standing next to Ms Holdsworth outside the court on Thursday, her partner Lee Spencer said: "This case has always been about Kyle, who was a loving child, a little boy, who Suzanne's always loved and helped look after. "Sadly we now know that he had some bad medical features that led to his sudden collapse and death. "This has been a terrible experience for Suzanne and our family and we now just want to try and pick up the pieces of our lives together."